This 2 Fan add on Kit , is a very easy install, usable on any brand or model RV refrigerator that is in a Slide out with the 2 side wall vents. 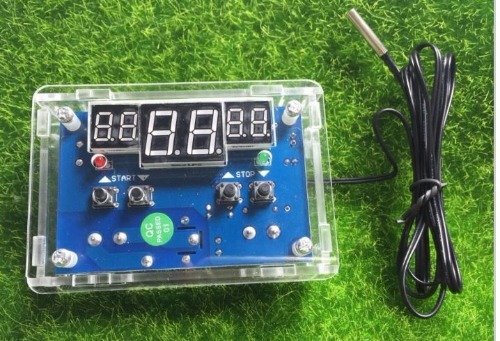 You will get with this 2 Fan kit with mounting hardware, Wire Harness, Fully adjustable Digital Thermostat control and with master 12 Volt DC power ON-OFF toggle switch mounted in a bracket holder, and built in fuse. We have an after market FAN that will increase the flow of air through the Condenser fins for fast removable of heat that was pulled from the inside food zone, the cooling of the inside of the food zone cools faster and able to maintain cold during the hottest of weather when you have a good flow of air through the condenser fins..
Only one fan shown in picture, but this listing is for 2 fans and the Adjustable Digital fan control thermostat that is not shown in listing picture . The most important way for getting your RV refrigerator to cool correct, is good flow of air through the condenser fins. Fans are not used to remove heat from the compartment, they are only used to increase air flow through the condenser fins. Most RV refrigerators need the increased air flow when the out side temps reaches 85 degrees or higher. With our designed Digital Fan Control you can fine tune the ON or OFF of fan or fans added to your unit. what if you need fans to come on sooner or later depending on the weather in your area. The OEM style will not work that way. Our Digital fully adjustable fan control will activate fan at any degree you select and you can change it as needed at any time. The temp setting can read surface temp or air temp depending on your install style. Fan over all size and Specs. It can be mounted using special fan bracket holding the fans atr the correct angle to pull air up thorough the condenser and out the upper vent opening. 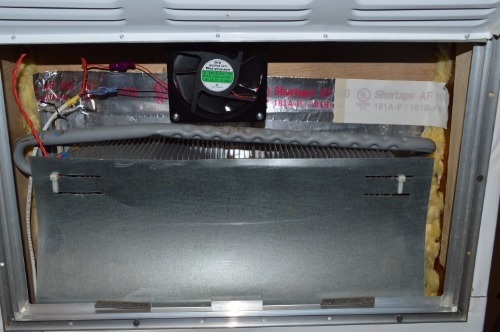 These FANs are a great add-on for any refrigerator in a slide out room to help the air to exit out the upper vent. 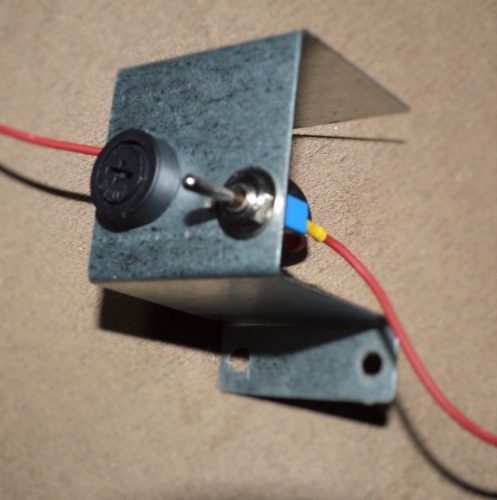 Fan for Refrigerators in a slide out- Single Fan Kit with mounting hardware and wire harness.